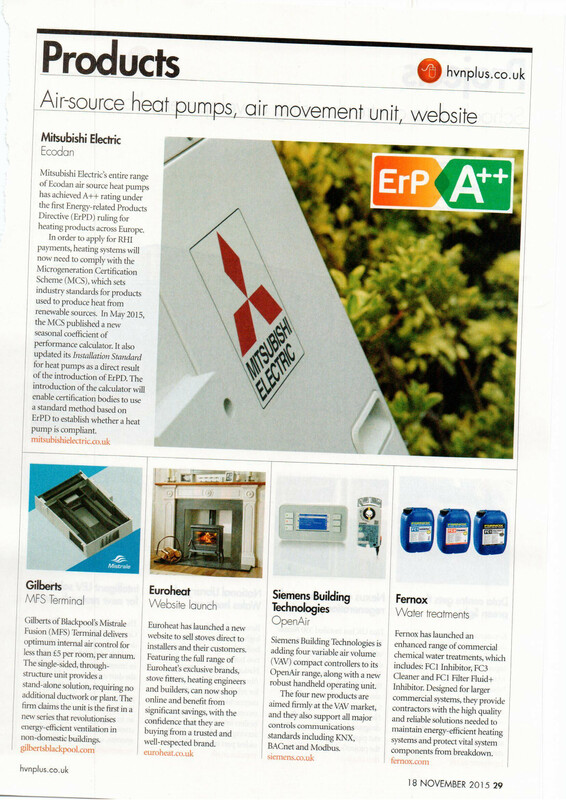 The First Energy-related Products Directive (ErPD) ruling for heating products across Europe has given Mitsubishi Electric’s range of Ecodan Air Source Heat Pumps an AA+ rating. If you are intending to apply for RHI payments, you will now need to comply with the Microgeneration Certification Scheme (MCS). This scheme details industry requirements for products that use renewables to generate heat. The MCS implemented a new seasonal Coefficient of Performance Calculator (SCOP) in May of this year. Due to the introduction of the ErPD the MCS also updated the installation standards for heats pumps. The MCS and other certification bodies are able to use this calculator as a standard to work out the performance and efficiency of a product in creating energy.